I saw it in many countries, I went past it but I never entered a Hard Rock Cafe untill this Wednesday. 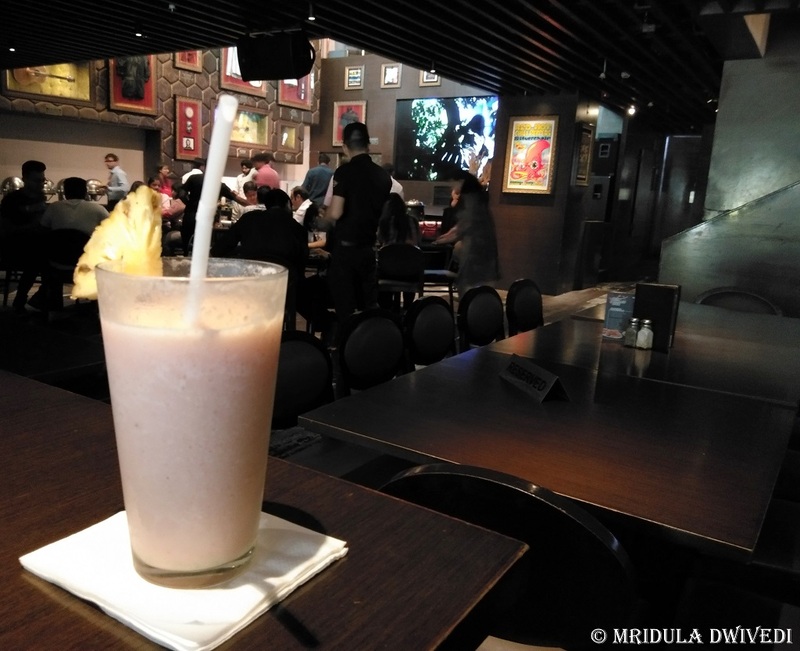 Hard Rock Cafe is celebrating the World Hamburger Day and I joined in (on invitation) by taking their World Burger Tour at their Cyber Hub outlet in Gurgaon. This was a day of firsts, it was my fist visit to Cyber Hub too! 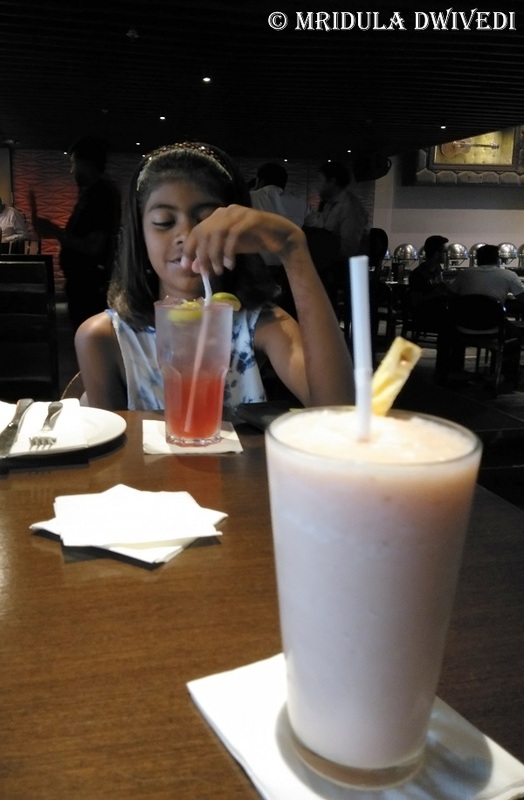 Chhavi, my daughter, and I went there for lunch. As Cyber Hub is in the office area, I think Chhavi was the only child around. We were seated quickly inside the cafe but the girl wanted to sit on high chairs. They were able to meet her request. Both of us liked the ambiance, which was cool and vibrant in contrast to the blazing afternoon heat outside. Once we settled down we ordered Double Berry and Wild Berry for our drinks. Both of us are light eaters and we do’t like wasting food so we requested that they cut the our burger in half. There were four World Tour burgers on the menu in the Cyber Hub outlet- the Quesadilla burger, Chamorro burger, Katsu burger and the Tennessee BBQ Burger. As we are vegetarians we went for the the quesadilla burger. Our drinks arrived first. Chhavi had a double berry as she likes tangy stuff. My wild berry was on the sweeter side, which was perfect for a hot day. Then came our burger, with french fries. My daughter went after the french fries. She is a finicky eater and doesn’t like to try out new things as of now. I truly loved my burger. Whenever I have tried Mexican food, I have relished it. I wonder why I don’t go for it more often! My burger had just the right balance of spices. It was flavorful without being hot which is how I like it! We both enjoyed our meal! 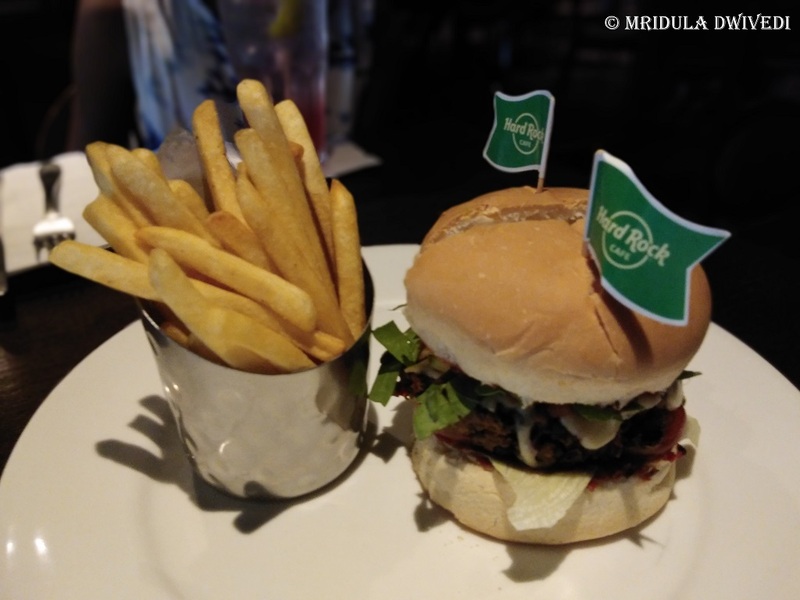 The World Hamburger Day is being celebrated on 28 May and the World Hamburger Tour at the Hard Rock Cafe is going to be there for May and June. Celebrating the World Hamburger Day with great pomp and glory, the iconic live music destination is giving out burgers at a smashing Rs. 99 for the first time ever on 28th May. All you got to do is register yourself on the link below to ignite the Burger mania in you! 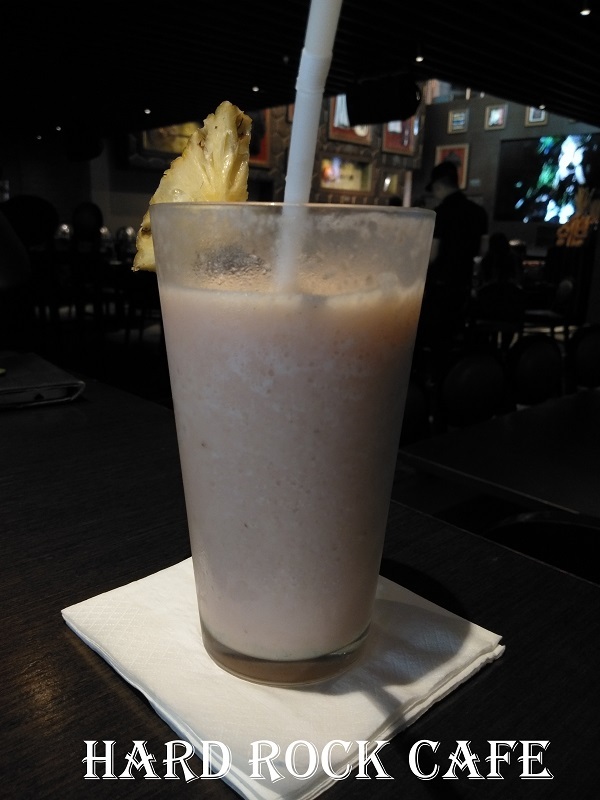 Now that I have been to the Hard Rock Cafe and the Cyber Hub I think I am going to revisit both the places.